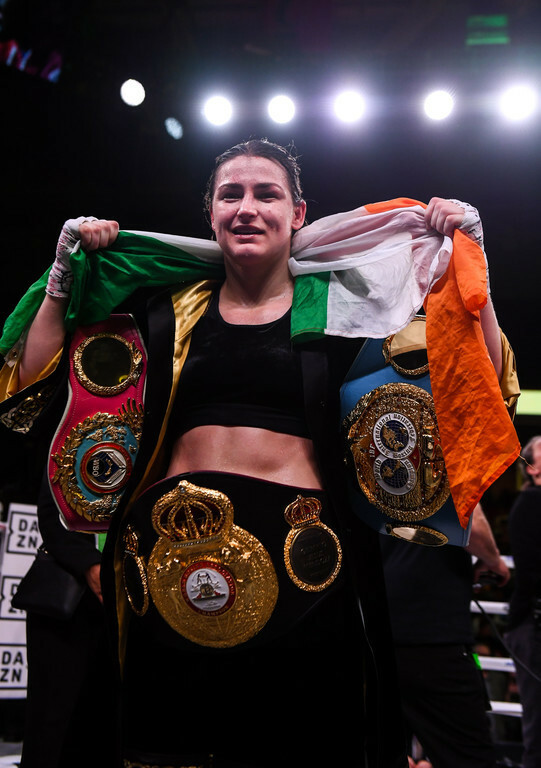 Katie Taylor secured three of the four major belts in an utterly sublime showing at the Liacouras Center, Philadelphia. Despite meeting her toughest opponent yet, the Irish women remained a class above throughout and was duly awarded the bout in the ninth round after a taxing affair. Katie Taylor often looks at home in the ring and uneasy outside of it, but the Bray boxer is well able to speak her mind when she so desires. Speaking post-fight, the 32-year-old cut a content figure as she explained her dominance as well as her future intentions. She got the best out of me here. Tonight we definitely saw a great showcase for women's boxing. She definitely had a bit of pop at the end of her punch, but I have a great chin thankfully. I can stand there and trade punches with anyone. I also have the power to hurt those girls when they stand here and fight, it's a problem for them.